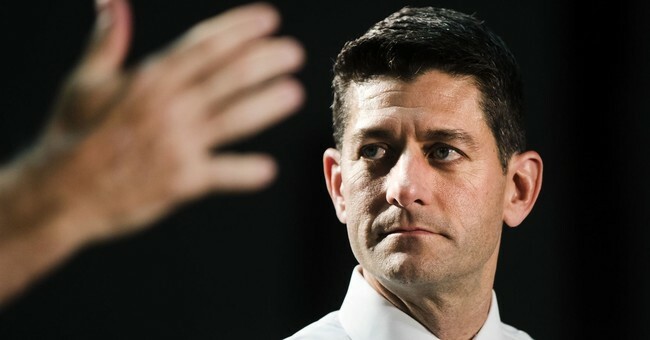 A number of news reports out this afternoon claim Speaker of the House Paul Ryan shelved a vote on legislation which includes the deregulation of firearm suppressors in response to the attack in Las Vegas Sunday night. The reports also imply Ryan pulled the bill in response to criticisms from Hillary Clinton and Senate Minority Leader Chuck Schumer. Those reports are false. The bill in question, the SHARE Act, was never scheduled for a vote this week. Ryan said this during a press conference earlier today. "That bill is not scheduled now," Ryan said. "I don't know when it's going to be scheduled." The floor schedule for this week went out from Majority Leader Kevin McCarthy's office on Friday and hasn't changed. "No, there was no intention to have the SHARE Act on the House floor this week. Any news report saying that is false. Below is the schedule for the week. This was released Friday and has not changed," a leadership aide tells Townhall. When a vote is scheduled, we'll be sure to cover it.